Sorry to be MIA this week, I have been ill with a strange flu that was basically a bad fever, and not up to doing much more than sleep when I get home from work. Enough excuses, here's a project for today! 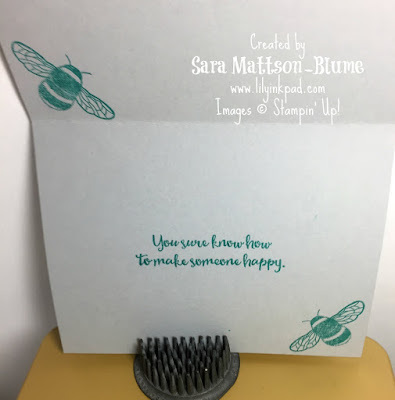 Check out this card- quick, easy, and cute! QEC! 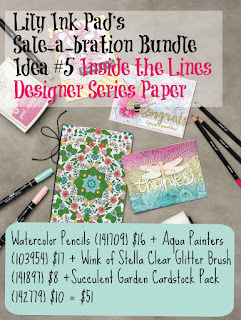 I colored with the watercolor pencils and then washed over with an aquapainter. 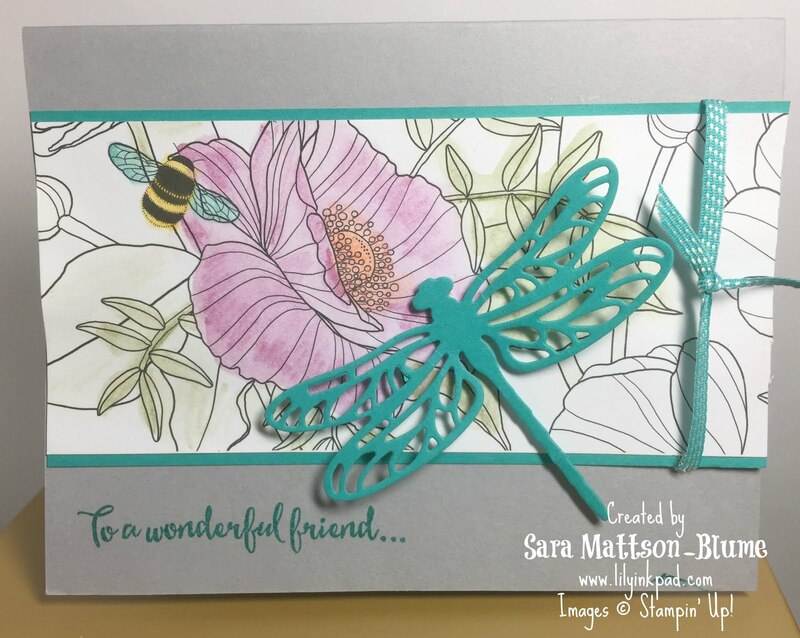 The dragonfly from the Detailed Dragonfly Thinlits out of Bermuda Bay is accented by a stripe of Bermuda Bay 1/8" ribbon and the Bermuda Bay ink and paper matte. The saying is a sweet sentiment for a friend to thank them for anything. Those bees are perfect accents inside! 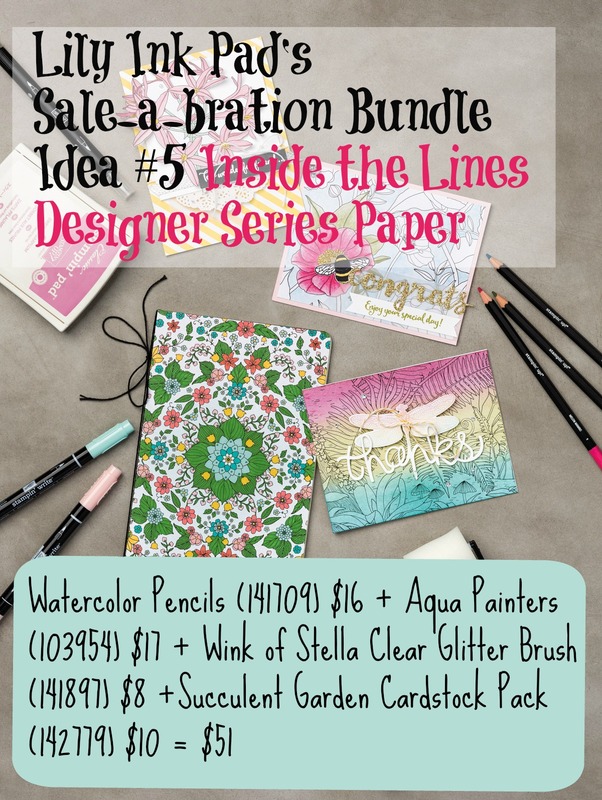 Here's one way to earn the Inside the Lines Designer Series Paper!